Cemetery/Memorial: Jerusalem War Cemetery. Israel and Palestine (Incl. Gaza) Grave Reference: D. 64. Additional Info. 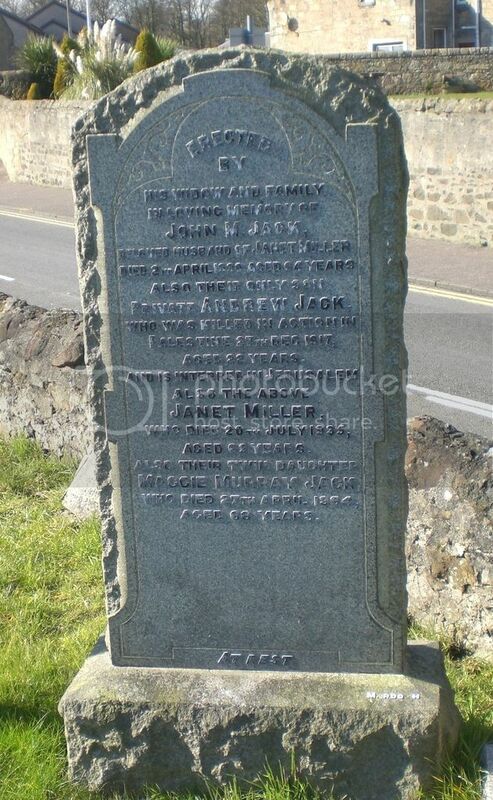 Son of John and Janet Jack, of 49, Ramsay Rd., Kirkcaldy. Additional Info. 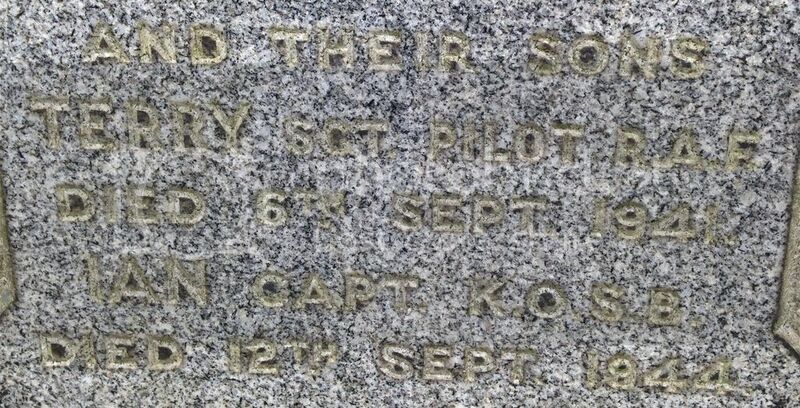 Born in Kirkcaldy, Son of Benjamin Boon Turner Johnston and Cecilia Anderson Simpson. Posted: Sat Mar 19, 2016 1:13 pm Post subject: Johnston, Peter Simpson Dickson "Terry"
Cemetery/Memorial: Ypres (Menin Gate) Memorial, West-Vlaanderen, Belgium. Grave Reference: Panel 8 and 12. Additional Info. 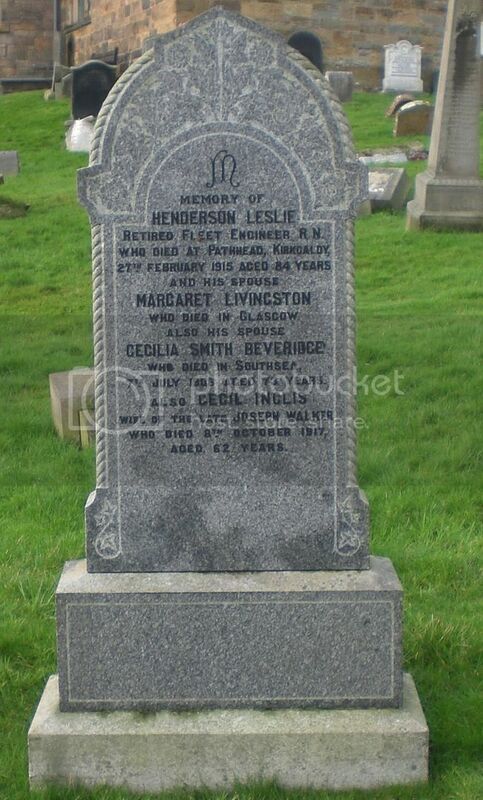 Son of David Kennedy Kay and Margaret Burgess Kay of Kirkcaldy. Grandson of George and Helen Kennedy Kay. Cemetery/Memorial: Buzancy Military Cemetery, Aisne, France Grave Reference: I. C. 18. Additional Info. 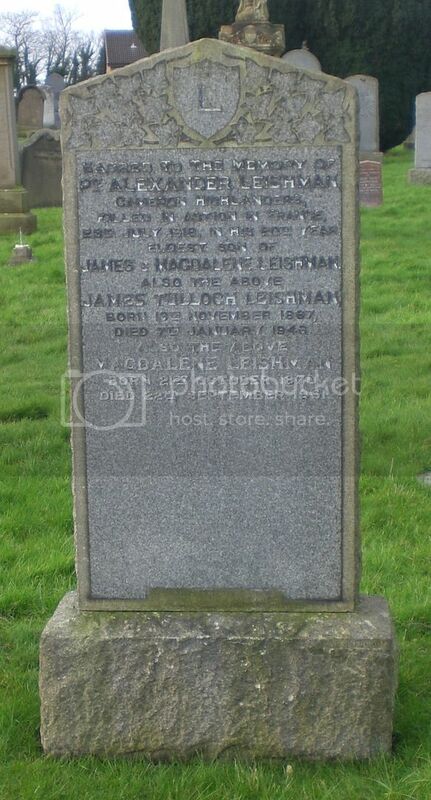 Eldest Son of James Tulloch and Magdalene Leishman. Additional Info. Died at Pathhead, Kirkcaldy. 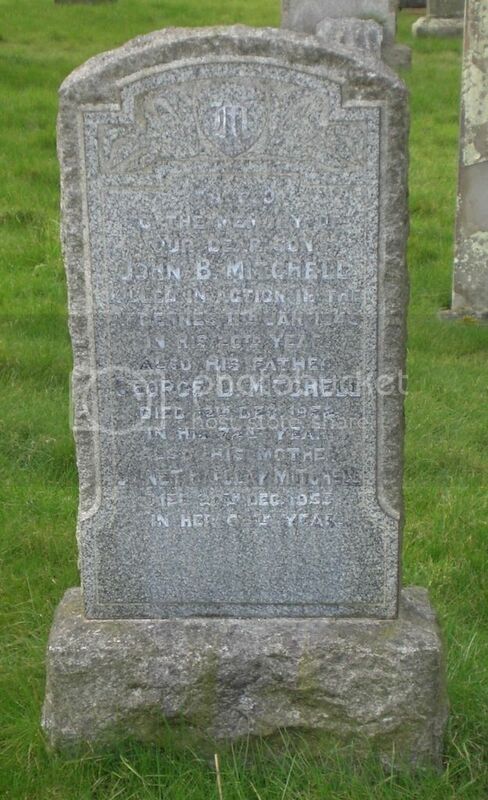 Husband of Cecilia Smith Beveridge. Cemetery/Memorial: Combles Communal Cemetery Extension, Somme, France Grave Reference: IV. A. 11. Additional Info. 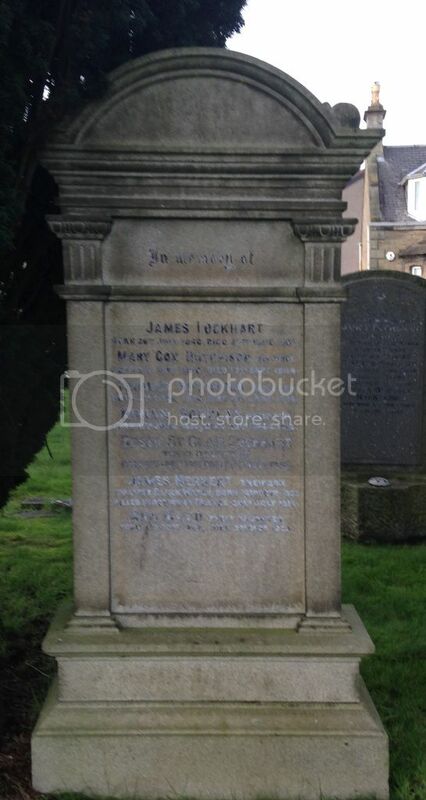 Son of Jame Peddie and Mary Cox (Hutchison) Lockhart. Additional Info. Son of Andrew and Helen (Clunie) McBain. Cemetery/Memorial: Houplines Communal Cemetery, Extension, Nord, France. Grave Reference: II. D. 19. Additional Info. 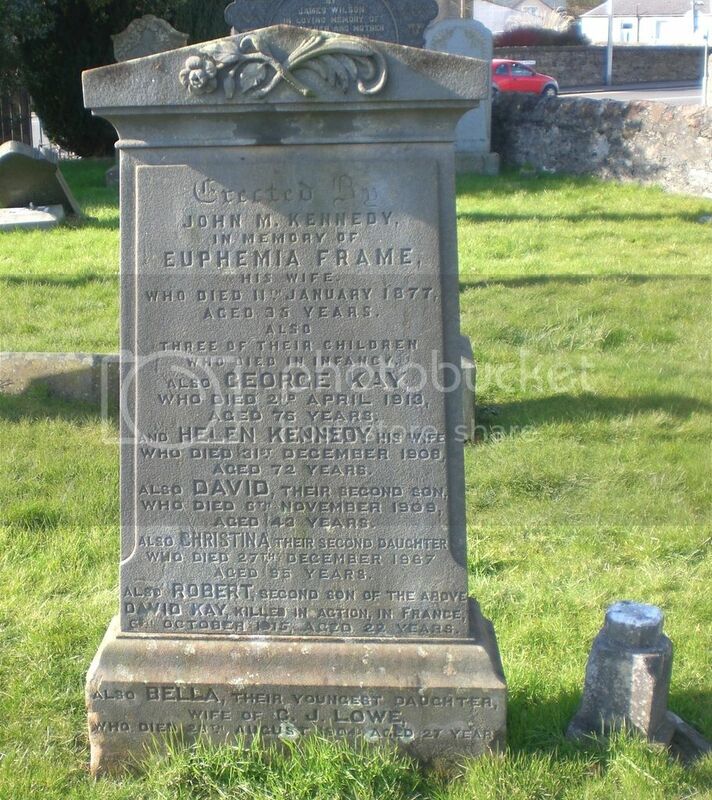 Only Son of Mary Turneer (McDowell) Methven of Wemyss Park, Kirkcaldy and the Late James Methven. Killed In Action Near Frelinchien. Cemetery/Memorial: Archangel Memorial, Russia. 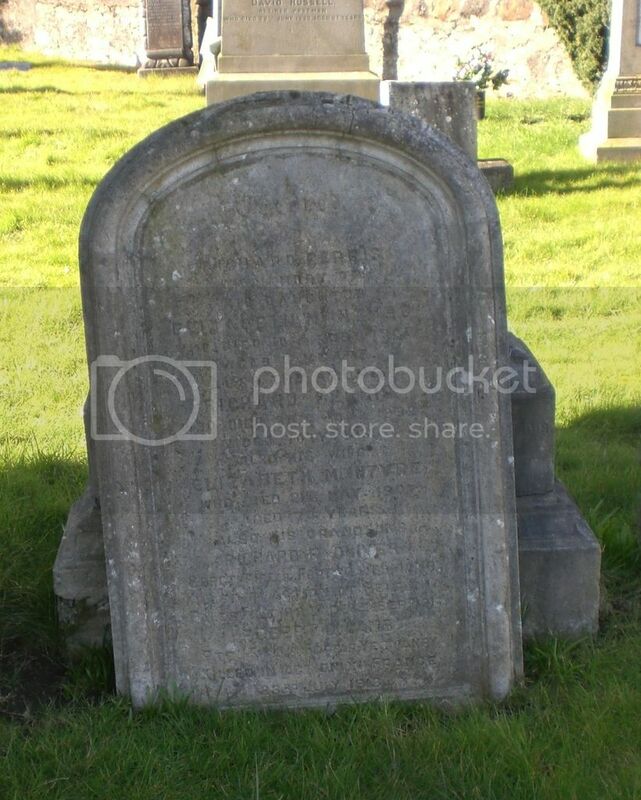 Grave Reference: Stone No. 3. Additional Info. 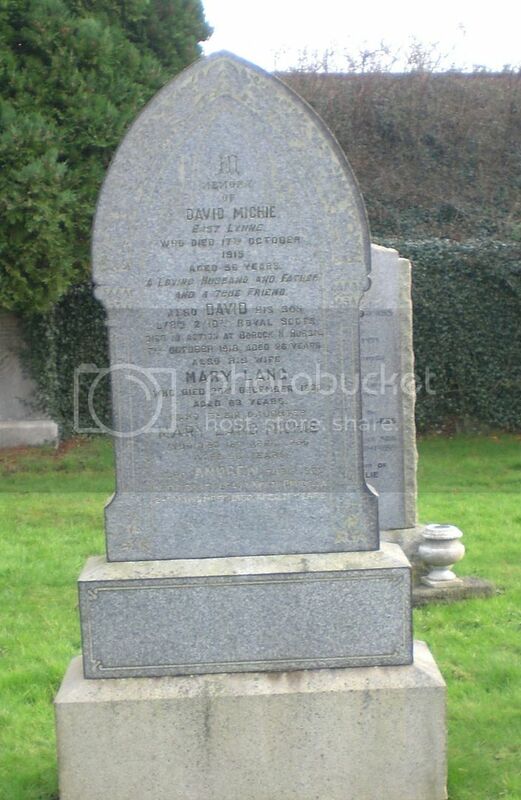 Son of the Late David and Mary (Lang) Michie of East Lynne, Whytehouse Avenue, Kirkcaldy. Died in Action at Borock, Russia. Cemetery/Memorial: Hotton War Cemetery, Luxembourg, Belgium. Grave Reference: XII. A. 8. Additional Info. Son of George D. and Janet Barclay Mitchell. Additional Info. 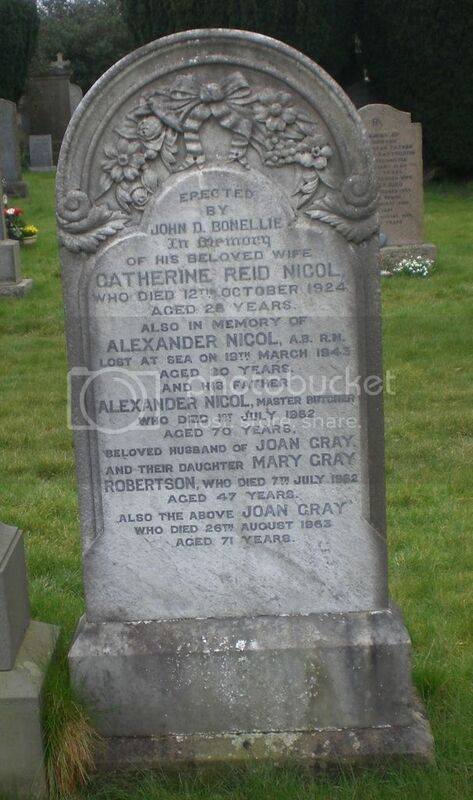 Son of Alexander and Joan Gray Nicol of Kirkcaldy, Fife. 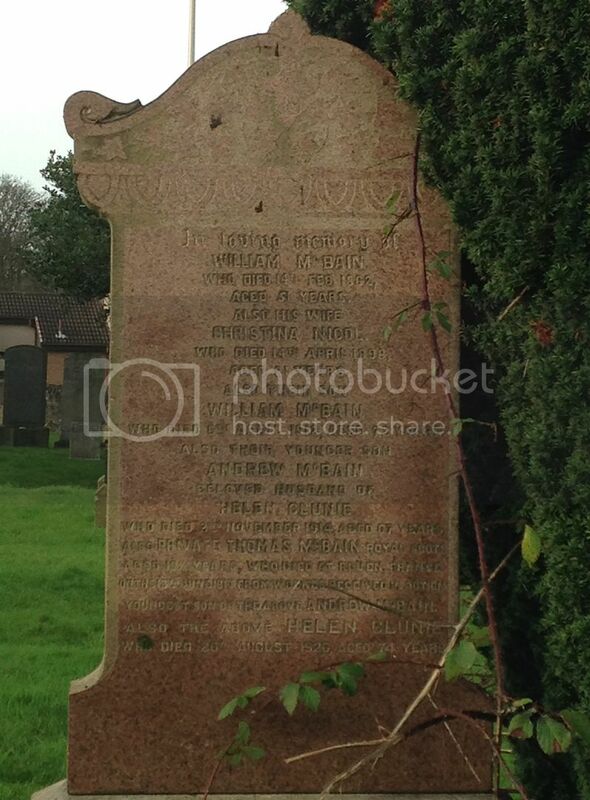 Posted: Sat Mar 19, 2016 4:55 pm Post subject: Oliver, Richard F.
Cemetery/Memorial: Jerusalem War Cemetery. Israel and Palestine (Incl. Gaza) Grave Reference: Y. 82. Additional Info. 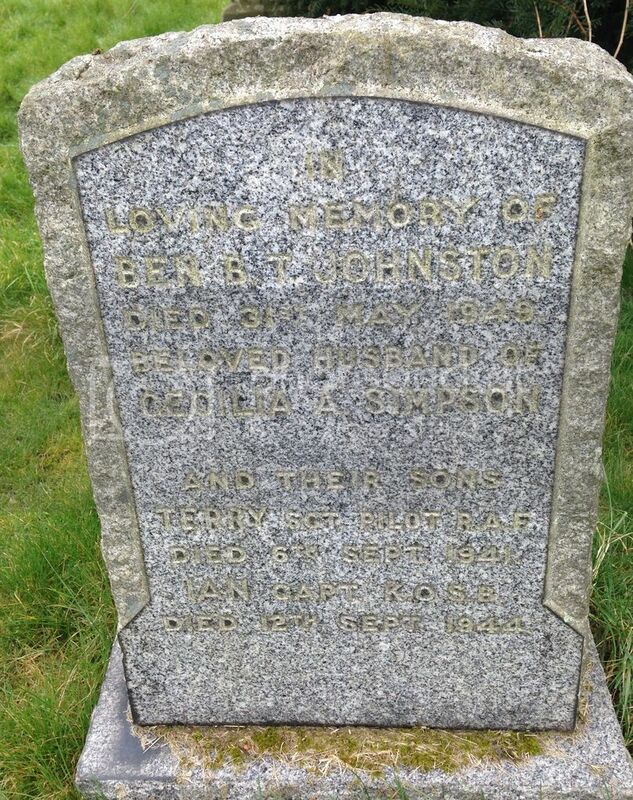 Son of Richard and Jeanie Oliver, of 349, High St., Kirkcaldy. Headstone in Palestine reads 'He Sleeps With the Brave No tears Of His Loved Ones Drop On His Grave'. Cemetery/Memorial: Knightsbridge War Cemetery, Acroma, Libya. Grave Reference: 10. E. 12. Additional Info. 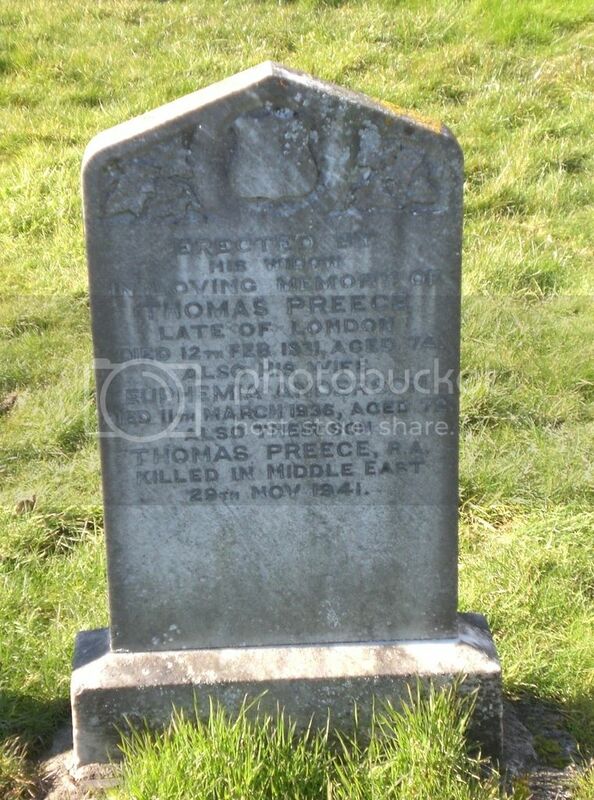 Son of Thomas and Euphemia Anderson Preece.